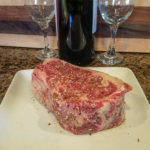 I grilled up some amazing chuck eye steaks from Crowd Cow this past weekend. I imagine over my lifetime that I’ve had chuck eyes before, however I’ve personally never cooked them. Crowd Cow did NOT disappoint. I cannot stress enough how good their meat tastes. Call me sheltered or call me whatever you want, but I’m not used to dry-aged beef. I’ve seen it on menus and heard about it, but I’ve never really experienced it like this. It is next level stuff and I highly recommend it! But back to the chuck eyes. I cooked these exactly like I’d cook a ribeye. First I seasoned with Susie-Q all around seasoning. I let them sit for about 2 – 4 hours seasoned which is standard for me. On the Traeger, I smoke them for about a half hour or so before bumping the temp up a bit. I set it at 225 and cooked until the internal was about 125. Then I took them off the grill and reverse seared them in a cast iron skillet full of butter. The results were out of this world! 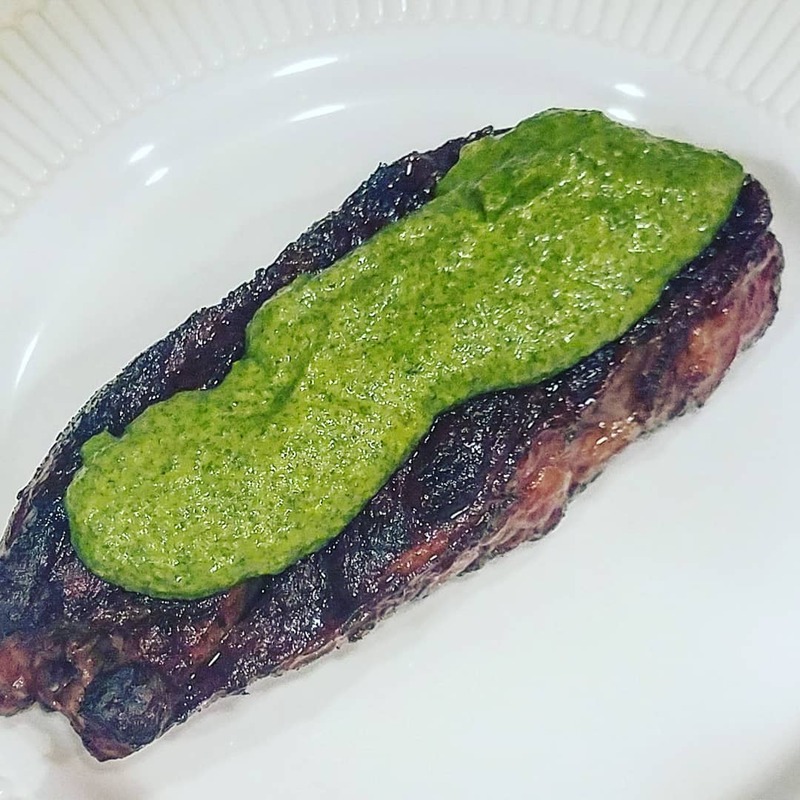 I topped my chuck eyes with a jalapeno chimichurri sauce. 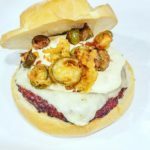 Before jumping into the recipe, don’t forget that you can get a free pound of dry aged ground beef from Crowd Cow by clicking here: 1lb FREE! Place jalapeños into a pan on the stove with EVOO already in it. Keep until all sides are blackened and quite soft. Place them in a small bowl covered with a plate or towel and allow the skins to steam and loosen. Peel, stem, and seed the chilis. Combine the jalapeños, cilantro, parsley, garlic, lime juice, red wine, olive oil, and a pinch of salt and pepper into a food processor or blender. Pulse (or blend) until the mixture is a coarse puree. Taste and adjust for salt and blend again. Pour over cooked chuck eyes.